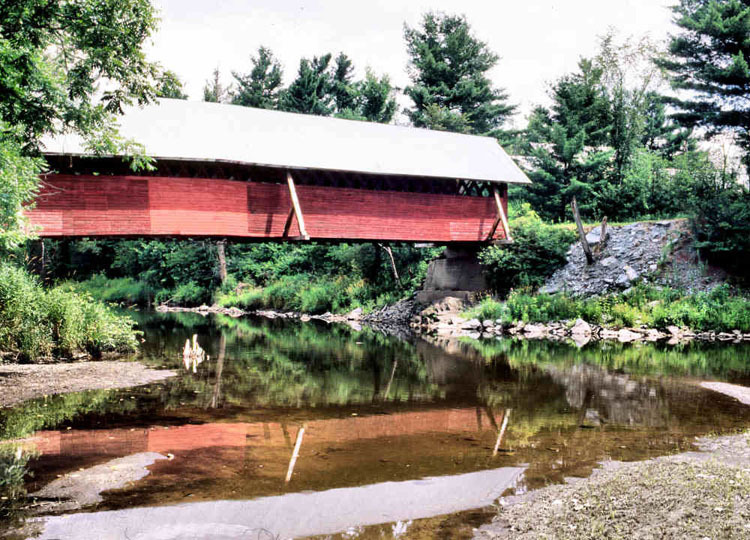 The School House Bridge is one of the few bridges in Vermont to use external lateral bracing. It is also the only plank-lattice truss bridge in the state to only one treenail where the lattice planks cross. Our thanks to the Town of Troy for allowing the posting of the Vermont Covered Bridge Society Welcome patch. For more information about the Troy area visit their website at www.troyvt.org.